Dry Ice PELLETS are best for creating fog effects or filling small/irregular spaces in a shipping container. 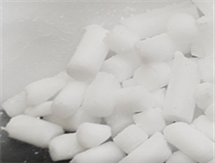 We will add enough extra dry ice to your shipment to make up for what sublimates in transit and ensure that you receive the amount ordered. Although the pellets will shrink in shipping and vary in size when received, the total weight will be what you ordered.